Hellraiser is often listed among the greatest horror films ever made. Its cautionary tale of desire and despair is spine chilling. Through the film, we learn of the Cenobites, sadomasochistic beings, who enter our world through a mystic box. They do not differentiate between pain and pleasure. To summon these monsters is to become their prisoners. This is what happens to Frank Cotton. In his search for heaven, he finds the Cenobites and a fate worse than death. Frank reaches out, from his prison, to his adulterous sister-in-law, Julia. Julia can aid Frank in escaping his jailers, but it will require blood. This is no easy feat and they mustn’t draw the attention of Frank’s captors. While most horror fans have watched Hellraiser, fewer have read the novella on which the movie was based. The Hellbound Heart was first published in Night Visions 3, edited by George R. R. Martin. This initial anthology release in 1986 was followed by a stand-alone publication of the novella in 1991. The Hellbound Heart follows a similar trajectory to that of the film. Much of the narrative is familiar with small name changes, such as Rory Cotton (Frank’s brother) being renamed Larry in the movie. As expected, the written product is a bit more nuanced than its motion picture adaptation. How Frank acquires Lemarchand’s box and what is known of it before his encounter with the Cenobites is altered quite substantially. However, by far and away, the biggest change is the ending. Whereas the conclusion to Hellraiser is about good’s triumph over evil, The Hellbound Heart is much more reflective. Both suggest the horrors of Lemarchand’s box are cyclical with more to come. Yet, while the film spawned numerous sequels, no attempt was ever made to follow up directly on the conclusion of The Hellbound Heart. 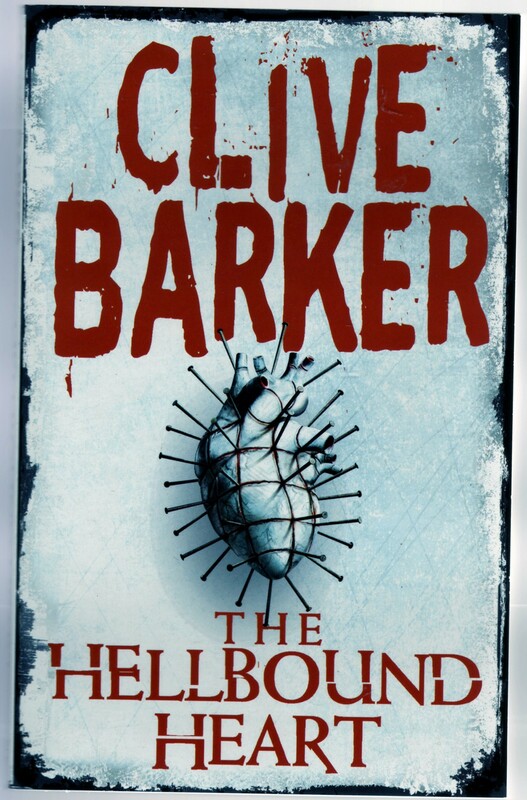 The Hellbound Heart is among the greatest literary achievements of Clive Barker’s career. It is a reminder of why he is a true master of horror. Read as a stand-alone or as a compendium to the Hellraiser films, The Hellbound Heart is essential literature for all fans of the genre. Anything Clive Barker related deserves a share on my blog. Love the Hellbound Heart, and may now have to read it again. I lovw all things Barker, but must admit, the Hellbound Heart is a fantastic piece of horror fiction that cannot be praised enough. It’s almost impossible not to read The Hellbound Heart in one sitting. Barker has such unique stories and manages to create very real (if sometimes very unlikable) characters. I’ve read the Hellbound Heart twice and was blown away and disturbed simultaneously. That, to me, is the sign of a great story. Here’s a good review that I recommend to everyone with an interest in the Hellraiser series. Thank you all for the kind remarks on the review. I more or less picked up and reread The Hellbound Heart on a whim. Clive Barker is a master, but I had forgotten how incredible that particular story was. Great review…I’m on my fourth reading of this novella right now. Barker really does write beautifully. Even when the subject matter is horrific. An amazing talent. Good observations all around. Another major difference I noticed between the novella and the movie is that in the latter, the Cenobites seem to lack any sort of honor code. This is evidenced by the fact that they attempt to drag Kirsty back to hell with them at the end of Hellraiser, whereas they actually uphold their agreement with her after she leads them to Frank in The Hellbound Heart.